I want to show both number of Likes and Comments in the News webpart, which I have built using Content Search and my own custom Display Template. The number of comments are not included though, so that property needs to be created in the Search Schema. In SharePoint 2010 and in a Content Query Web Part, I referred to this field with #Comments. But that does not work in 2013. When running continuous crawling, the Likes showed up within a 3 minute interval (I have set that interval using Powershell cmdlet Get-SPEnterpriseSearchServiceApplication and continouscrawl), but the Comments never showed up unless I was doing a Full Crawl. But the Comments still did not show up in the web part, (unless I did a Full Crawl). So I did a Reset Index. Ran a Full Crawl, to make sure that my changes above had been implemented. Still new comments are not displayed unless I run a Full Crawl. Started a Full Crawl again to implement the changes. The column is not created as a Site Column, but a local in the Posts library of a blog site. The only solution I could think of, and I don’t like it but what to do, is to create a new Content Source with only the link to the comments in it and set that to Full Crawl each 3 minutes. Don’t know if this will work in the long run, but for now it’s good enough. If you want to hide the “Conversations” options from the dropdown menu that is shown after the Search box, the easiest way is to CSS hide it. 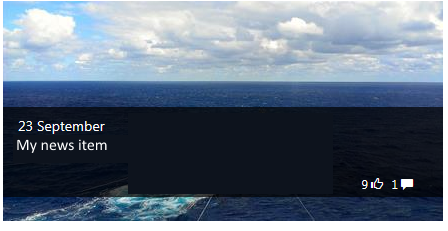 Set the following class to “display:none”. Then you want to remove the same option from the Search center page (results.aspx) also. I want to display my news in the Content Search Web Part. And use the one that displays 3 pictures on top and the text below them. But there are a few things I would like to change. 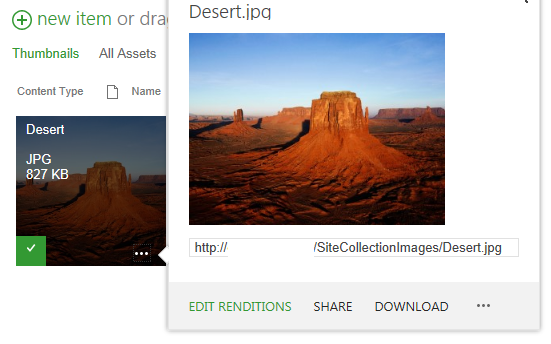 One thing is to change the image size so that it fills the text area and still keeps the image in small size. To do this, I have to work with Image Rendition. NOTE: Make a copy of the web.config before edit! The size is expressed in gigabytes (GB), and 10 GB is the default. Do not set it to lower than that. Save the web.config file and the site will automatically recycle. Now I have to create a new Display Template for my Content Search Web part so that I can use this rendition, and that will be my next article. After test upgrading my Project Portal, I was not able to edit the custom workflow I had built in SPD using the iLoveSharePoint Workflow action from Codeplex (which is awesome btw). I struggled a bit with this today but finally found the perfect solution if you want to upgrade this workflow action for SharePoint 2013. I use this workflow action to automate the creation of project sites at our company intranet and find it very useful. I did an IISRESET right after, and then made sure it got deployed in “Farm solutions” in CA. If you want to create your own SP app store, then you need to go through quite a few steps..
Googled it, and found lots of articles about this error. Most suggestions was about installing hotfixes, adding permissions directly in the SQL db’s, changing environment variables, installing latest win updates etc etc. But I had a feeling it had more to do with the accounts running the Search services or application pools. I had changed some of these from farm account to a specific service account, for security reasons and what MS recommends. But, after having changed back the SharePoint Search Host Controller to the farm account, (Go to “Security”, “Configure service accounts” and select the “Windows Service – Search Host Controller Service”, make an IISRESET afterwards) and all started working instantly. Maybe not recommended, but I will keep it running like this. The message in the Health Analyzer has not come back so, so far so good. This happened on a fresh install of SharePoint 2013 on a Win 2012 server, without any CU’s applied. When I started the User Profile Service Application it hung and just when into “Stopped” mode. “The Execute method of job definition Microsoft.Office.Server.UserProfiles.LMTRepopulationJob (ID 84821b32-cf9f-45ff-801b-bb25b69faa6f) threw an exception. More information is included below. 2013-09-04 09:11:50, Error Setup One or more of the specified features are already installed. The Forefronte services now came up! First I made an IISRESET, as that is always necessary after having launched the UPS. And then I rebooted the server and see if the UPS still works when the AppFabric service gets started. The AppFabric service was started and the UPS service was still started and I could add a new AD connection. Now I will proceed and install the CU’s. 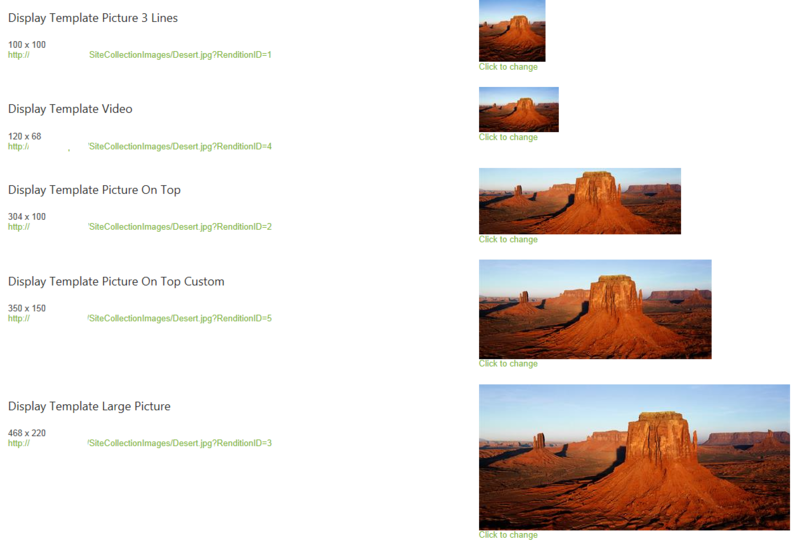 I want to create my own layout for use on the intranet front page. I don’t want to have a left side menu and I want three columns where the middle one should be the widest. There is no page layout that fits my need so I will create my own. I will only upgrade one service app and that is the Managed Metadata service application, since I have built the company wiki based on a taxonomy tree there. There is an article on technet that I followed to update this, but it failed. I tried it twice and got the same error and I am sure I missed something or did something wrong somewhere, but there is a limit on how many trials you do before you give up. So I did my own workaround and got it to work finally. Right. 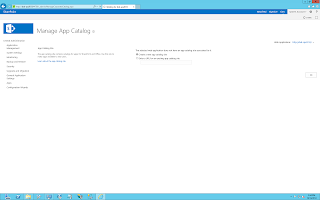 So the result was an error message when I tried to access the Managed metatadata service app. Opened the Properties to make sure it had the correct database (the upgraded db name) and application pool. And I actually created a new application pool and assigned the correct service account to that. That did not change anything. 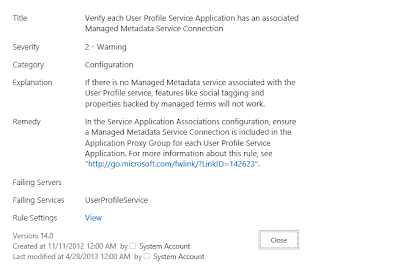 Then I verified that the same service account has permissions to the database on the SQL server also. Checked the “Configure service application associations” and the service apps were correctly associated. Went back to Health analyzer and clicked on “Reanalyze now” and the message disappeared. Did not change anything. Clicked on the second Managed metadata service connection level and checked the second box also. I did not expect any changes from this, but just in case…. Went into “Security” and “Configure Service Accounts” and changed to another pool account and made an iisreset to see if that helped. No, did not change anything, still same error. Googled these errors and found nothing that really related and could solve my problem (“the given key was not present”). Created a new managed metadata service application and also a new application pool account. And I checked “Add this service application to the farms default list”. May not be the correct way, but at least this worked on first shot! Number and size of databases. Any old that should not be moved over? Identify: customizations, branding files, style sheets, farm solutions, customized web parts and copy/install all these files on the new server. Make sure the third party products or any farm solutions are compatible with SP2013. Should we split the database into smaller databases? The test migration will be a good test for this, to see how long the upgrade takes. I really don’t want to split our intranet into different db’s because we would have to use different host headers or managed paths and it will confuse the users. Also since we are replicating, it means even more work to enable all those extra db’s for replication. I am sure that our db is quite small compared to what Microsoft recommends. Our intranet db is separated from the project portal, so the large amount of files should be moved out of the intranet. We are using pretty much out of the box for Search, I have only made some branding. So no, it will be fairly quick for us to setup a new index. We have not setup any company metadata because of the issue with editing multiple documents, that was in SP 2010. But now that you actually can make good use of it, we might consider adding it back. But I have used it for our company wiki so this will be needed. Analytics processing for SharePoint 2013 is now a component of the Search service, so stop the services before moving the content db’s. Web Analytics Data Processing Service and Web Analytics Web Service services should be stopped and also go into “Monitoring” and disable the timer jobs for it. Maybe overkill but… better safe than sorry. Did not do that for this WSS_Content DB since the web app was not configured anyway! Test to see if any errors comes out of that. These apps were created to support our Chrome users, it is OfficeWebApps service applications. 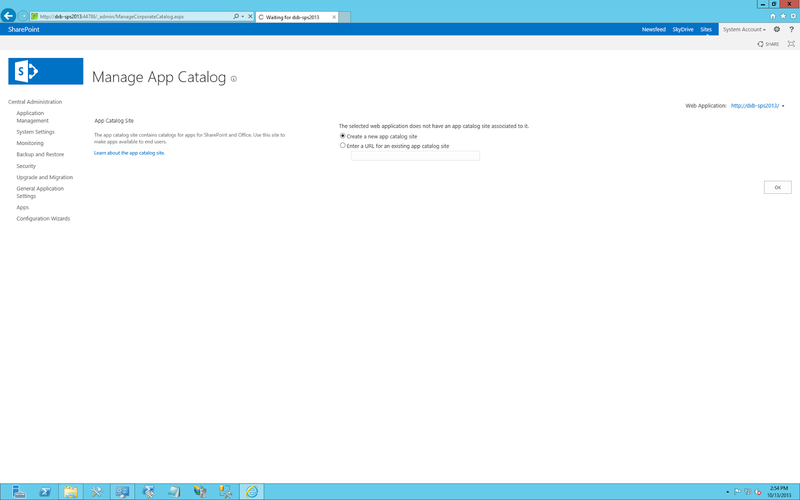 But they are moved out to their own server in SP2013, OfficeWebApps server. We use SSL on all our sites so this needs to be imported to the IIS. Make sure all host headers are added to the AAM. We have increased our quota templates on the SP server so these values needs to be added. And of course the upload size limit. 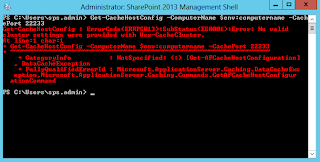 They should work as in SP2010, but that needs to be tested and verified.